Amazon and Google are the two best new-age companies right now. Both become the two largest platforms in the online retail. Both the e-commerce giants operate very differently. Amazon does not use external forces to rank their products while Google uses signals from websites, social signs, history and other search-related elements to produce your search results. Google used to be the only go-to resource to find products or services online. Today, Google rules supreme; however, social media platforms are becoming more business oriented, and Amazon is providing retailers other alternatives to get exposure. In turn, more visibility represents more opportunities to convert and drive sales. In this case study, you’ll better understand the differences between the two e-commerce giants. 1995 – Amazon goes live and sold its first book online. 1997 – Amazon’s claim to be “Earth’s biggest bookstore”. In their first Annual Investor Report, Amazon boasted $164 million in sales from 1.5 million customers in 150 countries. 2007 – Froogle is retitled “Google Product Search”. This is the early version of Google Shopping featuring Product Listing Ads (PLAs), and it’s still free. 2012 – Google Product Search becomes Google Shopping. Advertisers must now pay to play on the Google Shopping network. 310 million active customer accounts worldwide on Amazon. Number of Amazon Payments active users is 33 million users in 2016. There are approximately 54 million Amazon Prime members. Google shopping ads, or product listing ads, are cost per click (CPC) ads which online merchants purchase through AdWords. Example, they are located on top of paid search ads and organic listings. They show a product image, price, seller’s name, and other details such as shipping information. 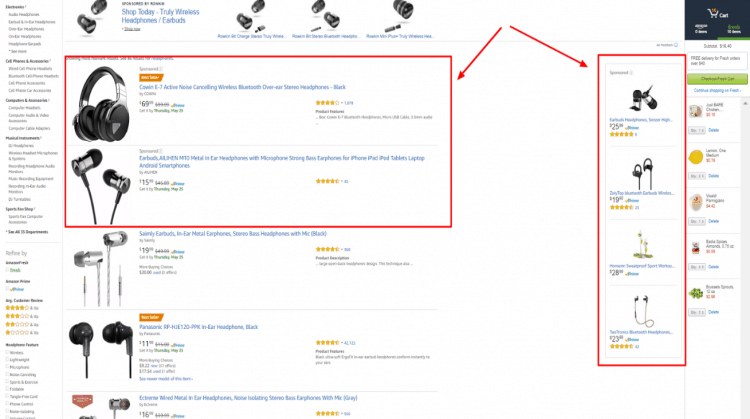 Amazon offers its own advertising platform where Amazon sellers can promote their products and drive sales. It offers different types of ads, and not all of them are available to every seller. 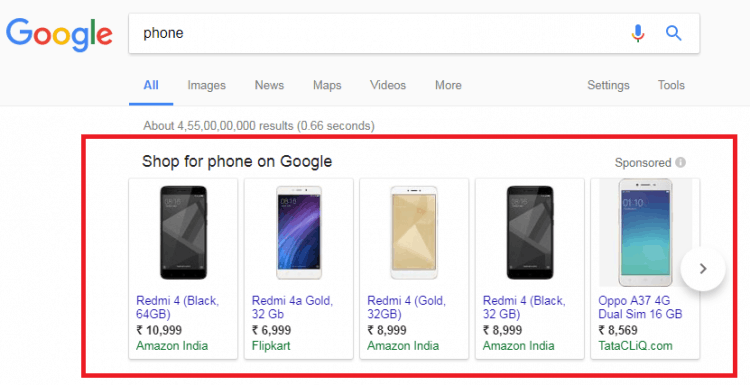 There are three main ad formats: Amazon Sponsored Products Ads, Amazon Headline Search Ads, and Amazon Product Ads (a.k.a. “Product Display Ads”). Amazon Product Reviews have a substantial impact on a product’s ranking, traffic, and sales performance on Amazon. The more product reviews, the more likely a product will improve its discoverability and buyability – two important components to success on the Marketplace. In 2016, Amazon announced they will no longer permit free or discounted products in exchange for reviews. According to the announcement, the Marketplace now bans incentivized reviews – unless they are facilitated through the Amazon Vine program. Invites reviewers to post their opinions on (free) new or pre-released items to help shoppers make purchase decisions. There is no guarantee that the product will receive a positive review. Amazon invites reviewers to participate in the Vine program based on feedback from other customers. A reviewer’s rank is determined by the overall helpfulness of all their reviews, factoring in the number of reviews they have written. In March 2017, Google announced it will be phasing out Google Trusted Stores and replacing it with the Google Customer Reviews program managed through the Google Merchant Center. It is a free program that allows businesses to collect feedback from users. Customers receive an email requesting feedback from Google about their experience with your store. Amazon Prime– It is a paid subscription service offered by Amazon.com that gives users access to free two-day delivery, streaming video/music and other benefits for a monthly or yearly fee. 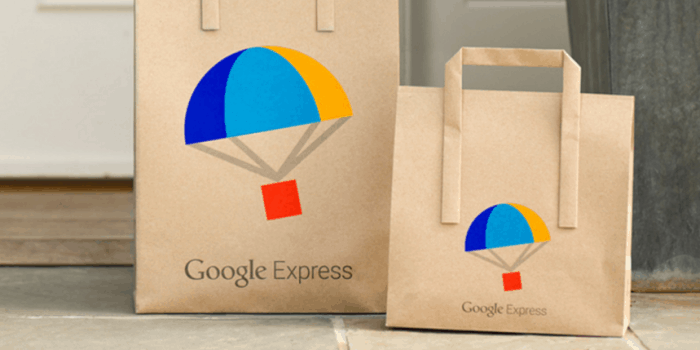 Google Express– In 2013, Google launched Google Express (formerly Google Shopping Express), on a free trial basis in San Francisco and Silicon Valley. Originally it was a same-day service; it now offers same-day and overnight delivery. Amazon generated $3.1 billion of revenues during 2001. During 2016, Amazon generated $136.0 billion of revenues. Google was a much smaller company than Amazon during 2001. Google had revenues of $0.1 billion in 2001. Alphabet reported $90.3 billion of revenues in 2016. Amazon generated $124 billion in revenue in 2016 across its North American and international retail segments (a 25% increase from $99 billion in 2015). Amazon Web Services (Amazon’s cloud computing service) increased sales 55% in 2016 to $12.2 billion. Amazon is also expanding into other high-margin businesses including its advertising business which is growing rapidly. Shares for Google’s parent company, Alphabet, are up about 11%, (not much in comparison) with Amazon’s 51% increase. 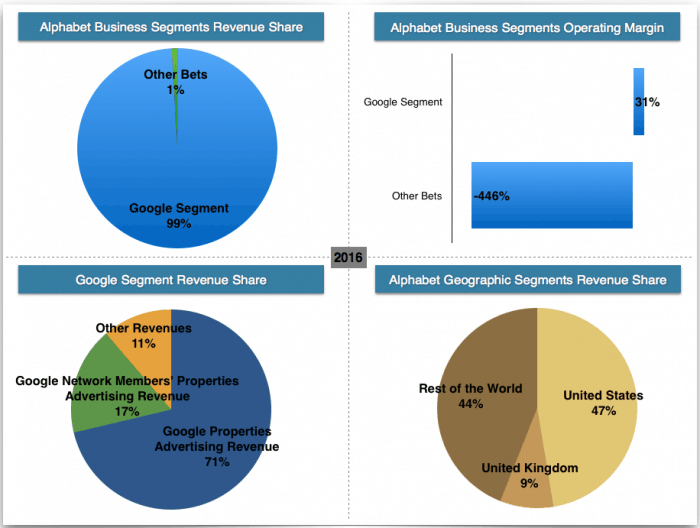 Even with the name change, Google still takes up the majority of Alphabet’s business. In 2016 Google accounted for 99% of the Alphabet Company’s revenue and 118% of its operating income. Both the companies have been growing in double digits for the past several years. 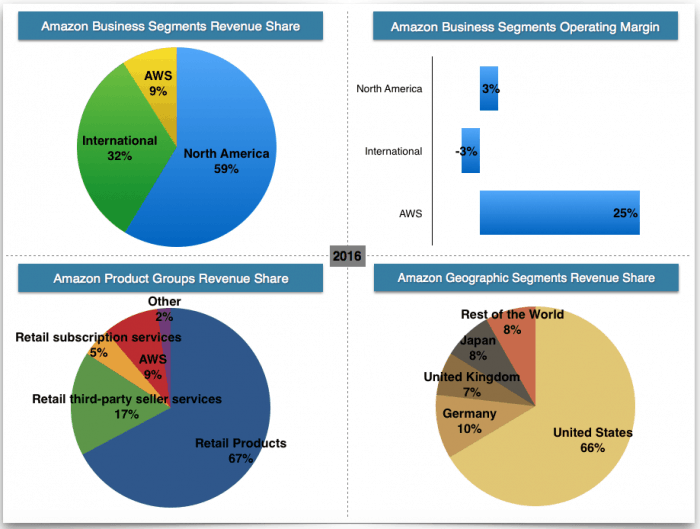 Amazon is leading the revenue growth race. 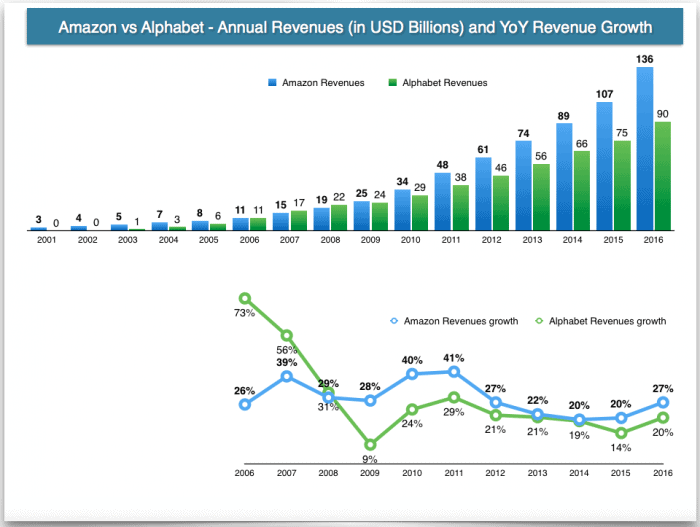 Amazon’s ad business growth is a major threat to Google’s search business.